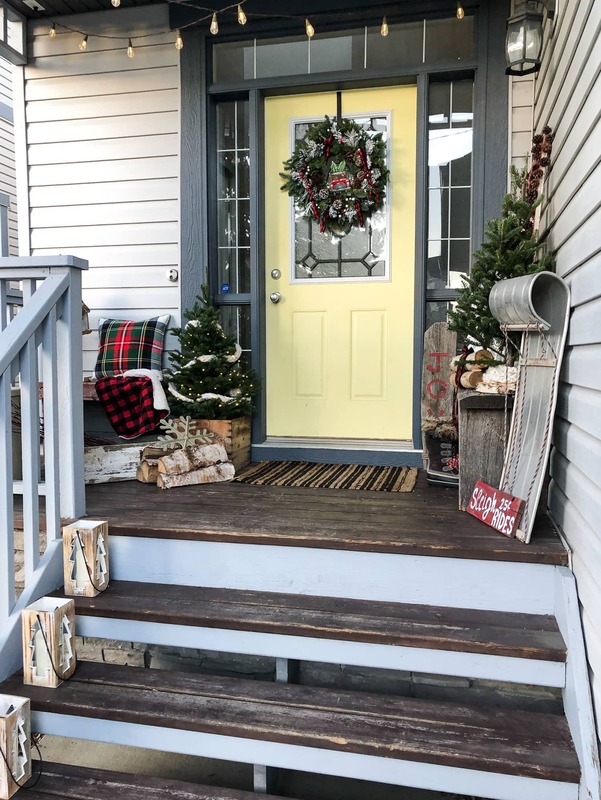 A classic Christmas front porch with loads of classic holiday colours, patterns, natural elements, plaids and fun! 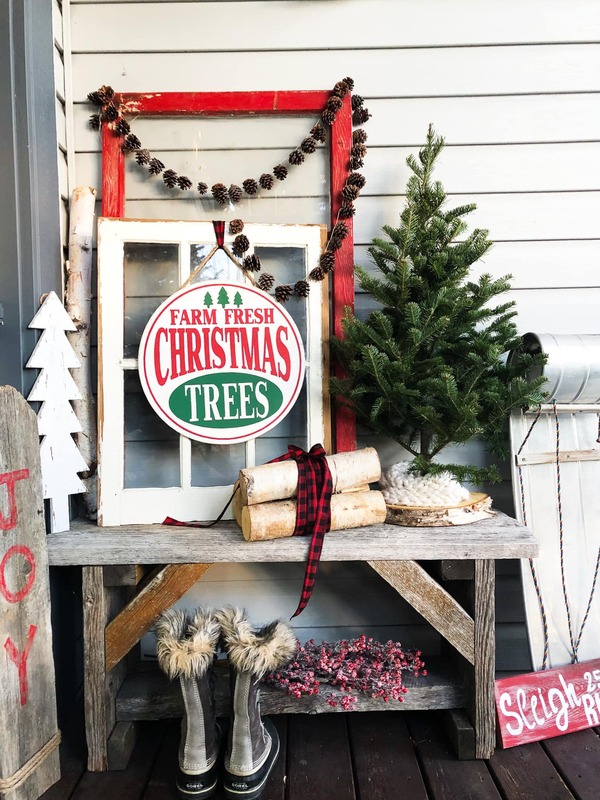 Welcome to the holiday season over here at ‘A Pretty Life’! 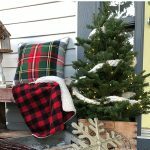 Today I’ve joined a group of talented bloggers, and we’re sharing our Christmas porches with you to get you inspired for your own decorating! 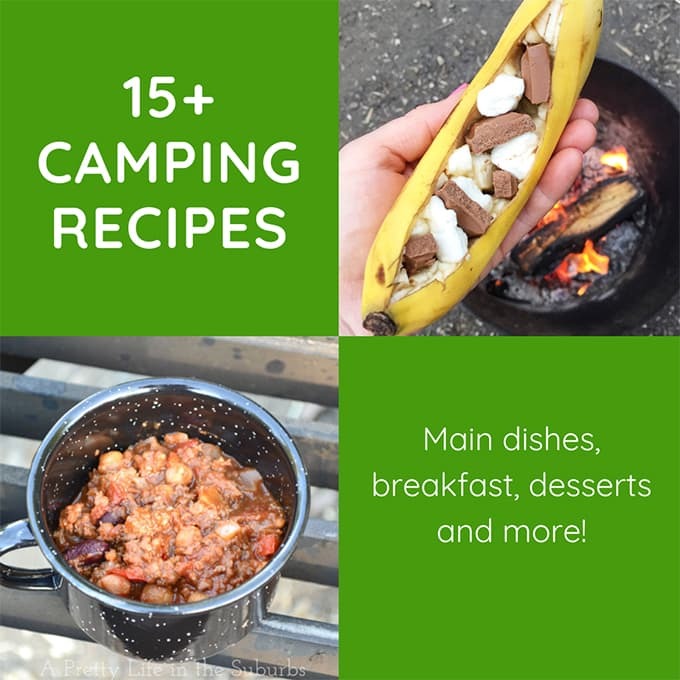 Make sure you check them out at the bottom of this post. 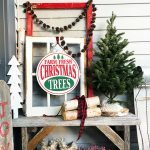 A big thank you to Taryn at Taryn Whiteaker Designs for organizing this Christmas porch blog hop! 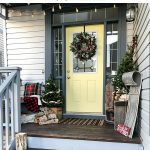 Come take a tour of my Classic Christmas Porch! I really wanted to share my Christmas porch all covered in freshly fallen snow. But our Calgary weather had other plans. Right now it’s all wind and warm temperatures as we’ve been under chinook conditions for several days. The beginning of November was cold and snowy and I loved every minute of it, but chinooks are a fact of life here in my part of the world, and they can melt away winter in 2 seconds flat. 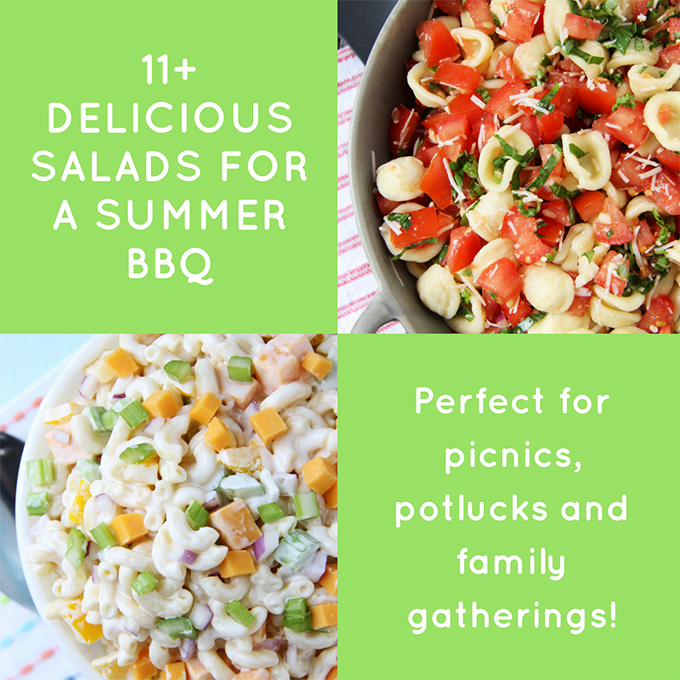 Sounds dreamy, but I don’t love them at all…my daughter and I get headaches with the wind, and everything turns brown and mushy…I’ll take 2 feet of snow and cold temperatures in winter, any day! But when the snow does finally come back, I’ll make sure to pop back in here and post another photo. So if you’ve seen my handmade ornaments or Christmas mantel from this year yet, you already know that I have a classic Christmas theme going on. 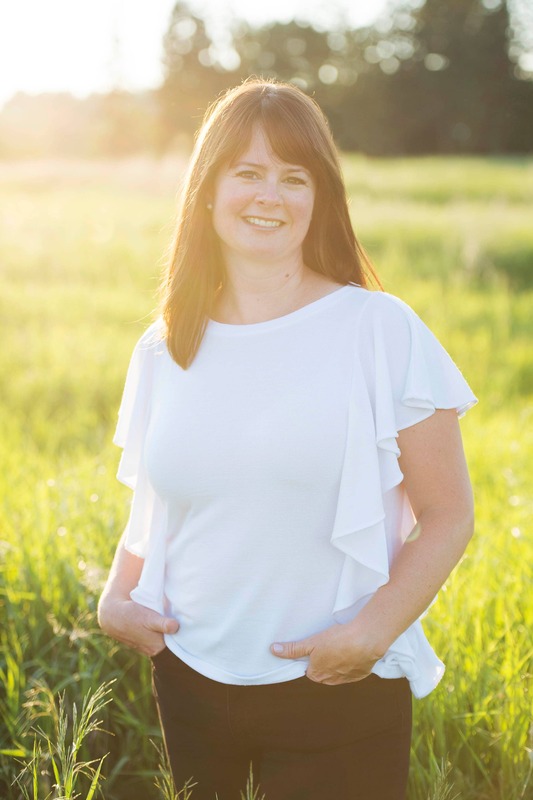 Red, greens, plaids, fresh greens…I love it all. Over the years I’ve gone from bright colours, right back to classic, traditional Christmas colours. I’ve learned that I really, really love the classics the most. 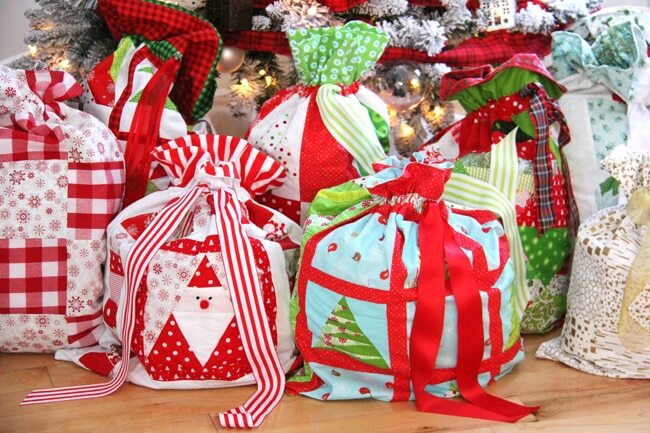 I think it takes me back to Christmas when I was a kid…my Mom used to decorate in traditional colours too. Isn’t it funny how we find ourselves doing what our Mom’s did? 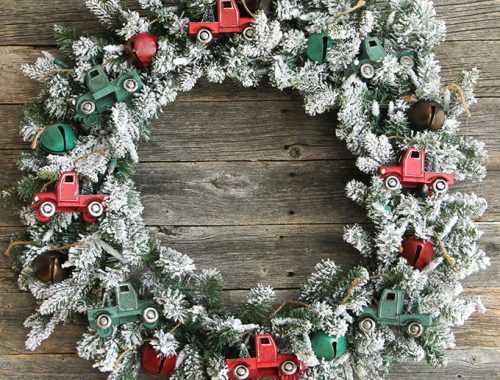 I wonder if one day my kids will decorate the same as I do…who knows! 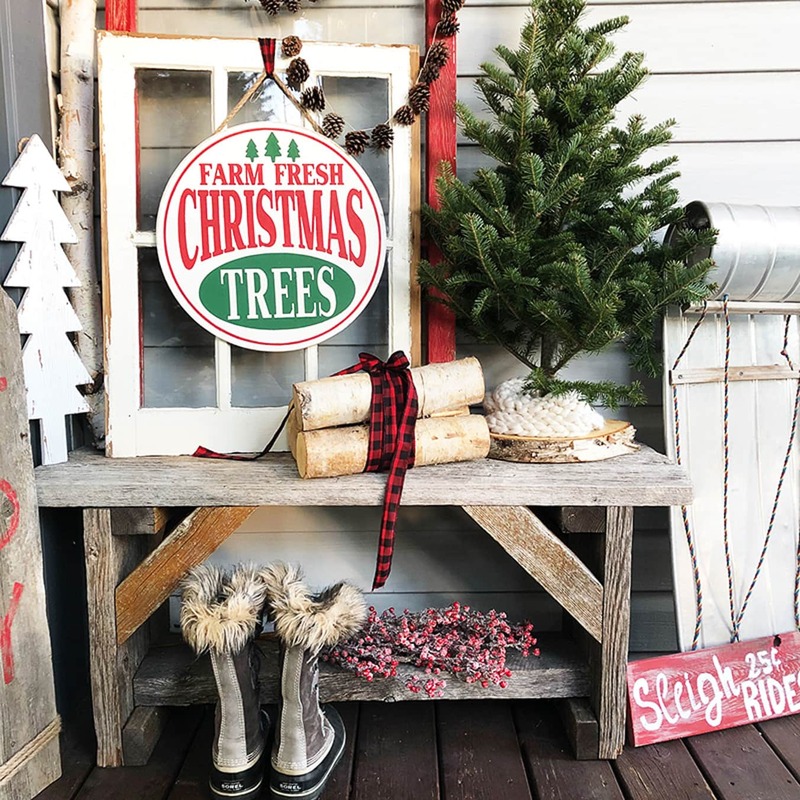 For my porch this year, I bought a few new things at Michaels that really inspired the theme of my Christmas porch…but it was this Tree Farm sign that really drew me in. 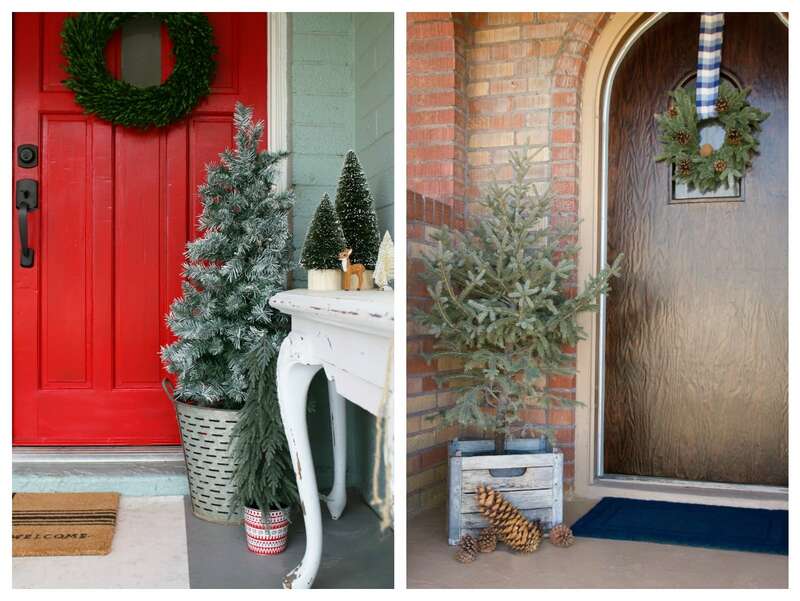 From here my theme was born…I knew I wanted a rustic, yet classic holiday front porch. So I gathered quite a few things I had at home, like the benches, the white window, the boxes and lanterns. 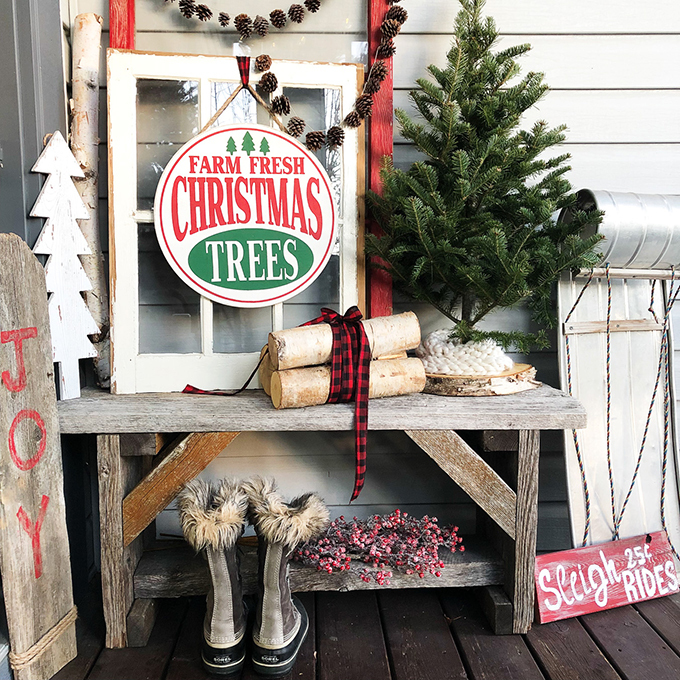 Then I shopped my friend Kathy’s place and borrowed the red window, the sled and the joy sign…all perfect elements for my Christmas front porch. Also…peek-a-boo! Can you see my Molly? She is always where I am. 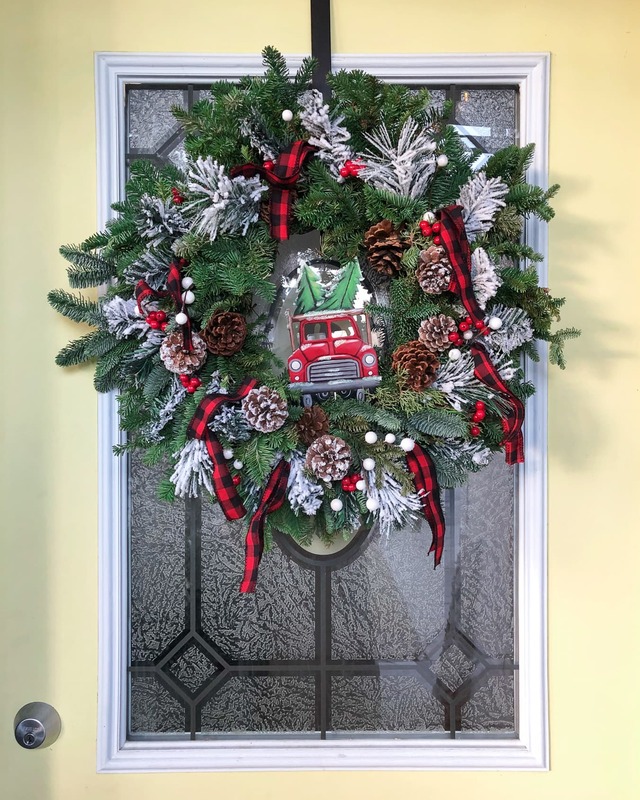 And no porch of mine is complete without a wreath! 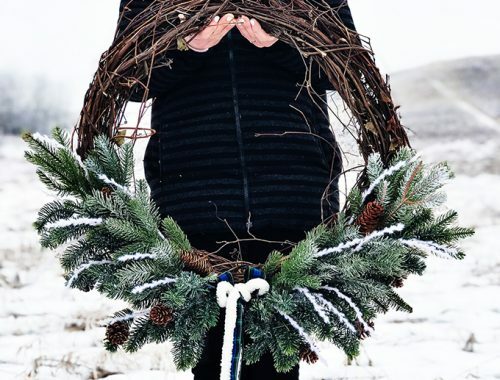 I made this wreath to match the theme of my Christmas porch…I’ll share the tutorial with you soon. 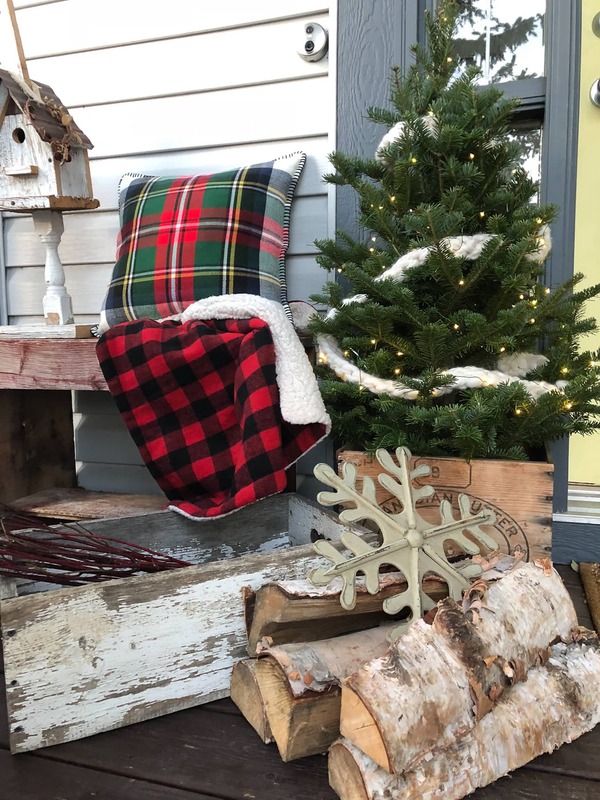 So there you have it, my Classic Christmas Porch. I love how it all came together…it’s a classic Christmas over here this year. Now all we need is some snow…any day now Mother Nature, any day. 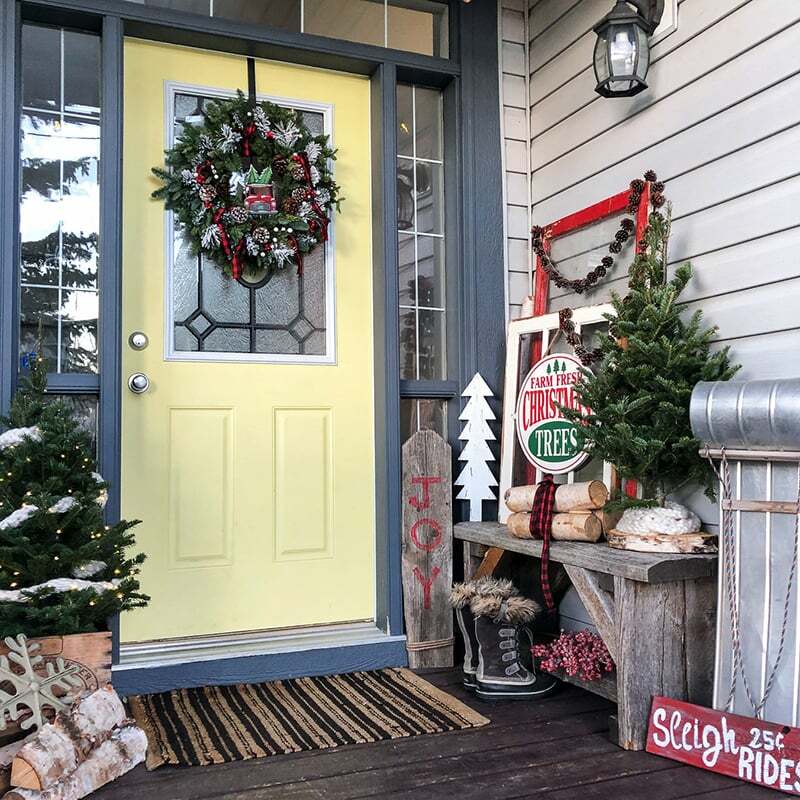 Looking for more Christmas porch inspiration? 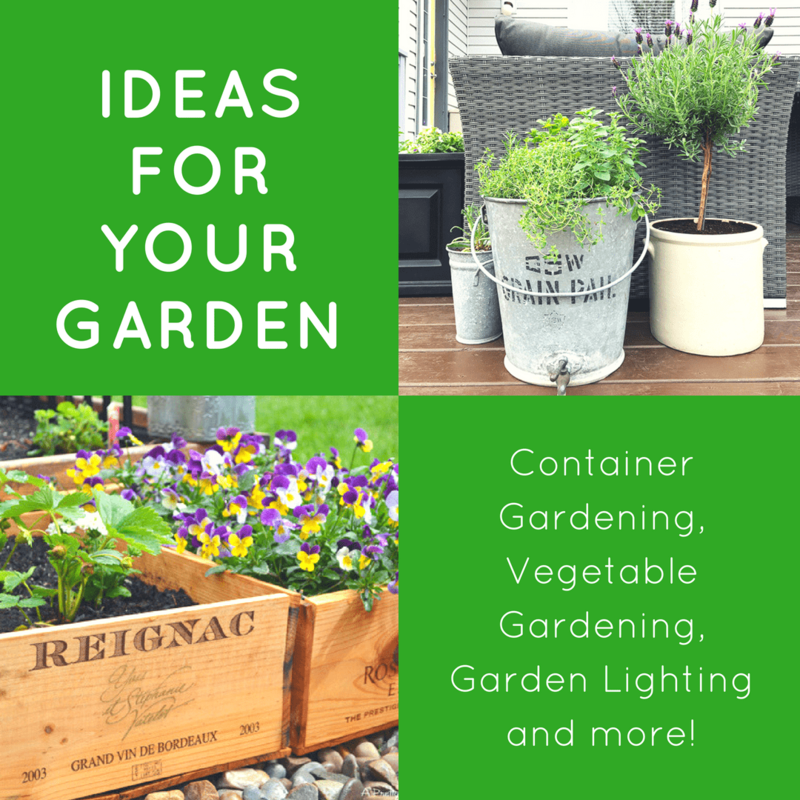 Visit these bloggers beautiful porches! I love the traditional colors paired with the rustic elements! I want to steal that cute barnwood bench! 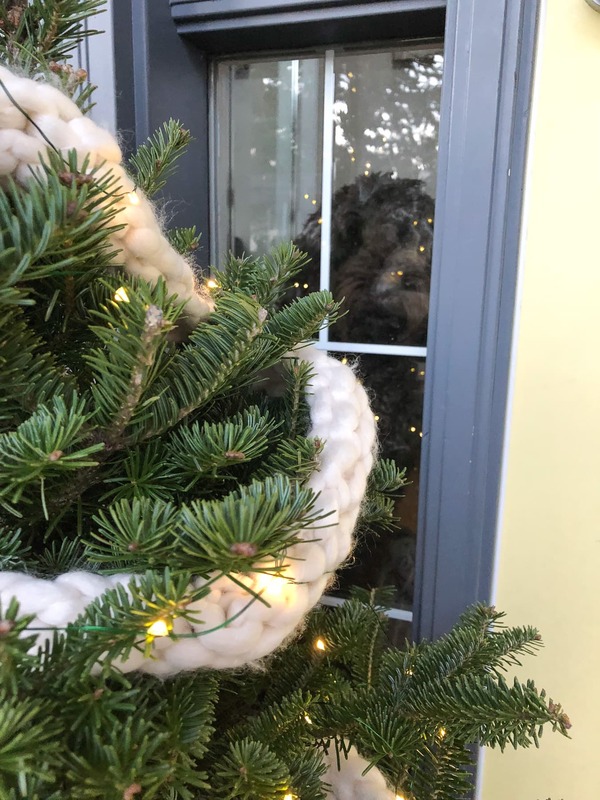 totally love the dog in the window! Great job friend, I pinned a whole lotta this goodness.